Nancy Ajaponna named UNPol of the Month! 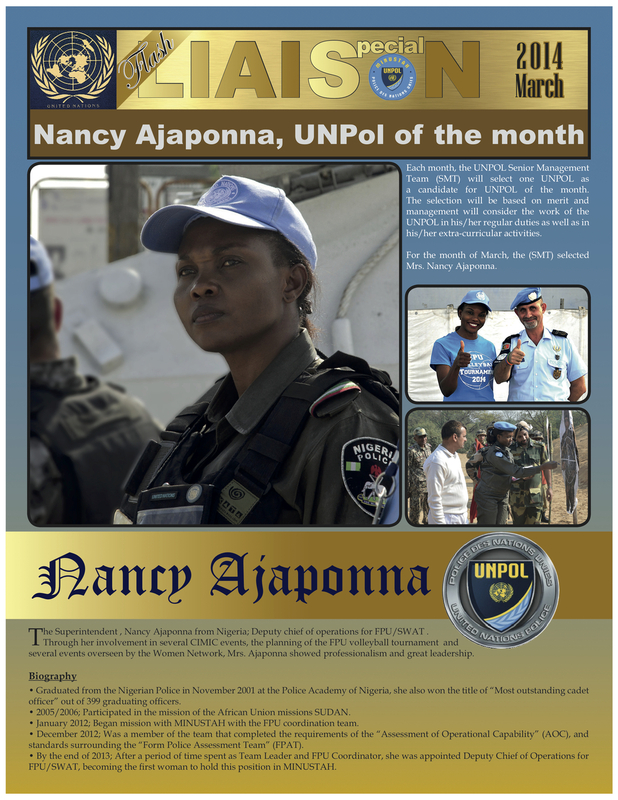 Nancy Ajaponna is honored in the March 2014 edition of MINUSTAH Magazine for her work as the Deputy Chief of Operations for FPU/SWAT. She is the first woman to ever hold this incredibly important position. Nancy is one of several remarkable women that "Peacekeepers" follows over the course of one year's deployment in Haiti. Stay tuned for more of their stories.